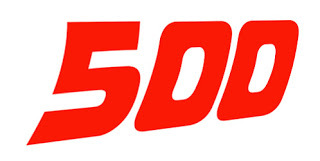 Earlier this week, Diamond Comics Distributors made a major move in its reporting, switching from publishing the Top 300 comics and graphic novels to the Top 500s for each. The graphic novels had been at the 300 level for a little over nine years, but when did the 300 figure become the benchmark for comics? Answer: 25 years ago this month, in the January 1993 Diamond Dialogue. 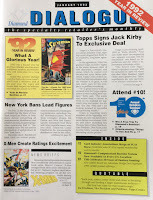 Diamond had briefly run the Top 250 comics before that, and the Top 100 in the late 1980s in its Dateline newsletter. 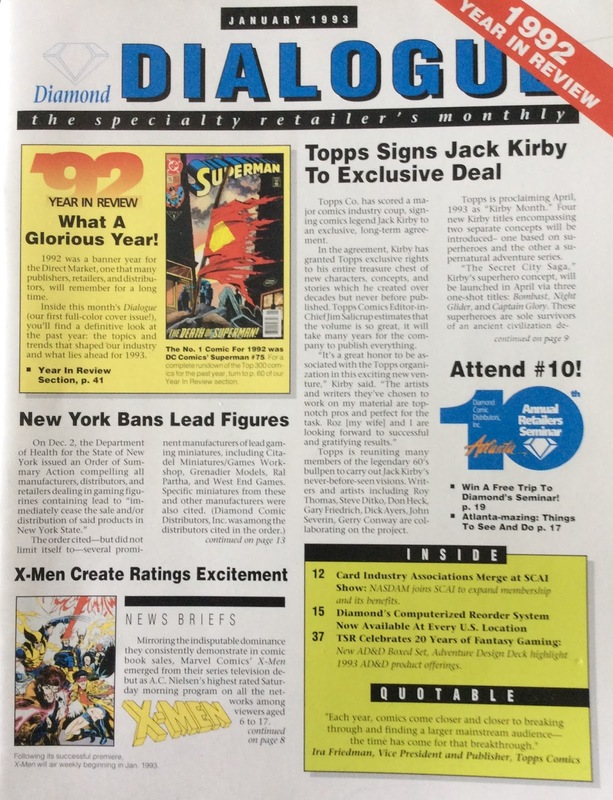 In 1993's robust industry with more titles, Diamond expanded its magazine and had more room to accommodate longer charts. 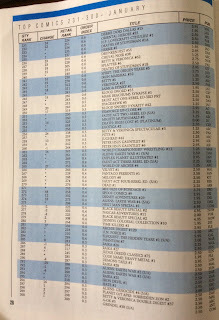 But even in an industry where new titles were flooding the market, the bottom quarter of the Top 300 in January 1993 was exclusively independents and small press books, as can be seen in the image at left. Marvel, DC, Image (via Malibu), Malibu proper, and Valiant monopolized the top 150. Reordered books were not included back then. Graphic novels started as a monthly Top 25 list before falling back to just the Top 10 when the market collapsed. That went back to a Top 25 twenty years ago this year, in March 1998 -- growing to 50 in 2002, 100 in 2004, and 300 in 2008, and now 500, reflecting the category's growth. 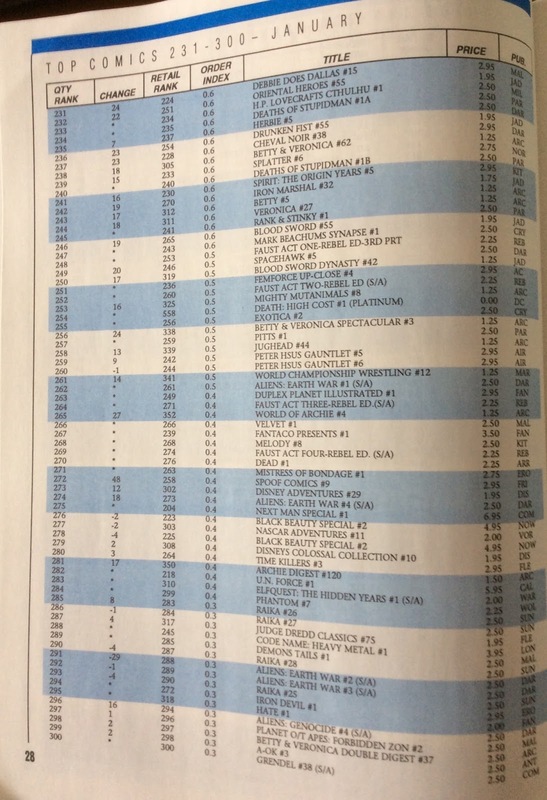 The Top 500 only captures half of GN sales, but the comics list is 97+%. You'll see that the 400s for comics are a mix of indies, kids comics, reordered Big Two books, and old books on liquidation. December's 500th place book was 2015's Secret Wars #8!